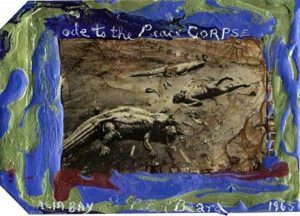 Peter Beard (American, b.1938) is a photographer and writer known for his collage work and extensive diaries. While moving around between Long Island, New York City, and Alabama during his childhood, Beard began the habit of keeping diaries that later became source material for many of his collage works. Beard documented his travels and photographs within his diaries from the age of 12, shortly before his first trip to Africa in 1955. In 1957, Beard applied as a pre-med student to Yale before switching to art history, studying under the influential art historian and theoretician, Joseph Albers. After graduating, Beard returned to Kenya, where he made his home in East Africa, acquiring “Hog Ranch,” the property adjacent to author Karen Blixen’s, near the Ngong Hills. 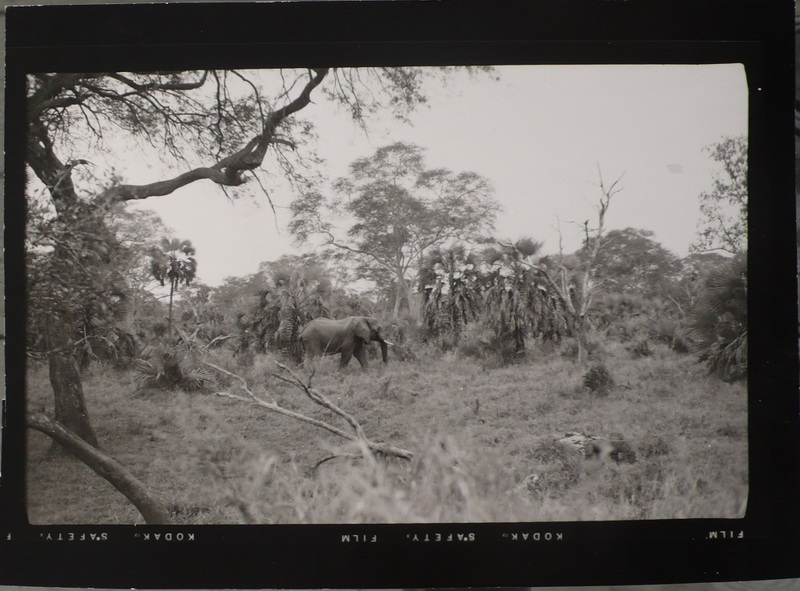 In the early 1960s, he worked at Tsavo National Park, where he photographed and documented the demise of elephants and Black Rhinos, and published multiple books on the subject. During this period, he began to create photographic collages that explored the interconnectedness of humans and animals. In addition to his own work, Beard has befriended and collaborated with many artists, including Andy Warhol, Andrew Wyeth, Richard Lindner, Terry Southern, Truman Capote, and Francis Bacon. In addition to his collaborations with well-known artists, he photographed prominent politicians, supermodels, rock stars, and New York City celebrities during the 1970s and 1980s. After his art exhibition in 1975 at the Blum Helman Gallery, Beard continued to show his work at galleries in Paris, Los Angeles, New York, Tokyo, and cities throughout Africa.